Authentic Leaders – Why do we need them and what do they look like? The communication and ‘connectedness’ explosion that has occurred over the last 20 years through the proliferation of social media and the resulting breakthrough in people’s access to information, has changed the landscape for leadership everywhere. This change, coupled with the retirement of the baby boomer generation from leadership positions over the coming 10 years, and their replacement by Generation X and Y, also means that what it takes to be a leader in this new world has already changed and will continue to change. For previous centuries much of leadership style has been modelled on ‘command and control’, primarily because it was leaders who had access to and controlled information. This is no longer the case, and for the first time in history the power is in the hands of the ‘followers’ – in organisations, in businesses and in government. 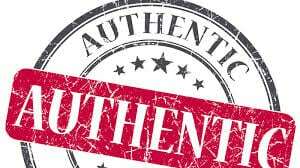 The demand on leaders to be authentic, to be real, to be genuine, to do the right thing has never been higher. The room for people to be other than that has narrowed dramatically. In his book ‘Authentic Leadership’ Bill George makes the case that we need a new kind of leadership to deal with the challenges facing organisations today and into the future. He persuasively demonstrates that Authentic Leaders of purpose – driven companies will create far greater shareholder and societal value than financially orientated companies. This type of leader operates from a fundamental belief that she/he is a primary determining factor in the culture or environment in which people in the organisation function, and therefore its performance. Authentic Leaders have defined what is important to them, and this is expressed in their purpose, values and beliefs, it is ‘who they are’. Their communication, behaviours and actions reliably reflect who they are. They hold themselves fully responsible for the performance of their people and the organisation; when there is a breakdown they first look to themselves to determine what they have or have not done that has contributed to that breakdown, rather than blame others or factors outside of themselves. This type of leader understands that it is the ‘softer stuff’ that actually forms the foundations on which a high performing, successful business can be built. They put an equal, or in some cases greater, amount of attention on these matters as they do on the ‘hard stuff’ because they understand that the erosion of the foundation will inevitably lead to an erosion in performance. Integrity, Responsibility and Engagement are fundamental for this style of leadership. The Authentic Leader is whole and complete in their relationship with themselves and leaves others in that same state through being responsible and accountable. When operating this way a high state of engagement is accomplished. The challenges that organisations face today require employees who are actively engaged with the organisation’s purpose – its vision, values and plans. Authentic leaders inspire that engagement and create the environment in which the organisation will get the best from its people. PrevPreviousWhat’s happening with leadership in Australia?